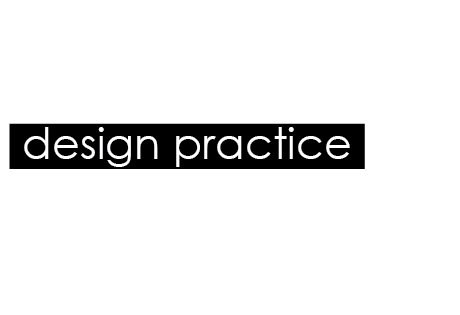 Design practice: Design for digital// workshop 1.. This was the first workshop I have done within the OUGD202 module. The workshop focused on using visual communication to portray a message using just words and how you could communicate the effect of the word on the word itself, like word representation. The two words were picked out of the randomizer, I picked out 'expand' and 'disperse', at first I thought these words were very similar and was already finding it hard to define each one. These were the 20 typefaces relating to the word expand. I tried to find typefaces that looked as though they already held elements of 'expansion', for example fonts with large counters, serifs, an element of depth and thick weighting. Bloat, inflate, enlarge, dilate, stretch, unfold, increase, unravel, magnify, amplify, elaborate, protract, broaden, bolster, heighten, widen, thicken, prolong, outspread, swell. To increase the size of; to increase the volume of; to increase the quantity; to increase the scope of; to enlarge; to express the length of; to express in detail; to open up something; to unfold something; to develop something is to expand on it; to extend something; to expatiate something; to elaborate something; to blow something up; to stretch something; to grow something. Blowing a balloon up; rice expands when cooking; unfolding a map; pupils expand when you've taken drugs; belly expands when pregnant; stretching out stretch armstrong; expanding on a story; blowing bubbles; heat makes metal expand; looking through a magnifying glass; a bird stretching out its wings; the universe is expanding; bread expands because of yeast; muscles expand when exercising; inflating a hot air balloon; building a house extension; stretching an elastic band; getting stretch marks when gaining weight; growing up/ life expansion; smiling :). These are the typefaces relating to the word disperse. I tried to find fonts that looked as though they were crumbling, separating or had large kerning. Distribute, scatter, break up, diffuse, disburse, dissolve, radiate, spread, split, partition, discharge, split up, divide, dispense, impart, separate, sprinkle, disunite, dissipate, disarrange, diverge, spread. To drive in different directions; to scatter in different directions; to strew; to distribute widely; to cause to vanish; to cause to disappear; to disseminate (eg knowledge); to separate; to move in different directions; to break up something; to dissipate; to leave/ cause to leave a gathering; to spread; to spray (ie water); to part something; to send something in various directions; to be dispelled; to diffuse something; to sprinkle something; to disunite something. Clouds dispersing rain; watering a garden with a sprinkler; tie dying a t-shirt; putting ink into water; the sun shining; sweet dispensing machine; someone throwing money in the air; blowing a dandilion; scattering seeds; a flock of birds flying away; police dispersing a group of rioters; cells separating; the light prism; soluable paracetamol dissolving; blowing out candles; bees collecting pollen and spreading it; fireworks exploding; throwing confetti; using a leaf blower; a spider dispersing its silk to make a web.